Jennifer Harvey Sallin is a psychologist and coach for gifted people, and seeing how much her clients were missing adequate social connection and mirroring, she started InterGifted in 2015 to connect gifted peers around the world. The community has grown rapidly in the three years and has connected and guided thousands of gifted people around the world. In this article, Jennifer shares her motivations for creating InterGifted and how it is evolving, how gifted people can recognize giftedness in themselves and others, and why it's not arrogant to be sincerely who you are as a gifted person. PUBLICLY SAYING THE WORDS, "I'M GIFTED"
I started InterGifted in 2015, after years of working as a coach and mentor for gifted people. Shortly after I started IG, I was interviewed by Barbara at ExpatClic about my life's journey as an expat (I'm from the US, and have lived in Italy and Switzerland for most of the last decade), and of course, about the InterGifted project: why I started it and what it means to need "gifted" support. I left the US when I was 27 because I felt stifled by conventional life expectations, and because of a deep need to explore, discover and understand the world. It was a challenge, because I got a lot of push-back from people who expected me to stay, what felt to me, "small". But I had to get distance and find an authentic way of living my life, even if it was unconventional. Typical to a gifted person, I couldn't stay happy in the routine that others around me seemed satisfied with. Along the way, I discovered giftedness and then learned everything I could about it. Eventually, I repackaged my background as a psychologist and life coach into coaching for gifted people. 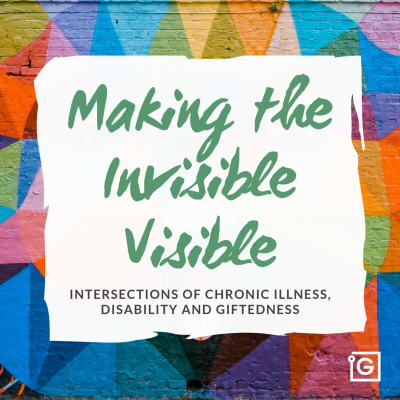 Even though I talked a lot about giftedness in my work with clients, until the interview with Barbara in 2015, I had hardly ever mentioned it outside of work. Sometimes people would ask me, "Oh, so if you coach gifted people, you must be gifted too then," and I always found the question rather embarrassing. In fact, I usually answered by telling the person, "You're embarrassing me." Actually saying, publicly, the words "I'm gifted" during the interview was really hard. It brought up all the shame I had felt about being so different all my life; but most of all, the shame of feeling like I was saying something arrogant - and it was this that gave me the courage to say it aloud. After years of excusing myself for who I was and how my mind worked, I'd grown tired of feeling socially embarrassed about and apologizing for my differences. I wasn't embarrassed and I didn't feel arrogant to say I'm a woman, so I asked myself why I should be embarrassed or feel arrogant to say, factually, "this is how my brain works". In the interview with Barbara, I said the words "I'm gifted" for the first time publicly, and I'll admit, I also cried while I said it. It felt like a relief and also a sadness, of the years of holding back. It also felt good leading by example. I've never wanted to go around proselytizing about giftedness, for sure. I just don't want to be ashamed to be how I am, and to have the brain I have. And I was tired of seeing other gifted people feel the same shame. This is essentially what led me to start InterGifted. I wanted gifted people to feel proud of who they are, and feel free to be and talk about themselves as they are - not in arrogance, but in truth and authenticity. And I didn't want it to be just my clients. The scale was too small. Lots of gifted people around the world didn't need gifted coaching, as I provided, they just needed safe peers with whom they could feel free to be themselves - have their "all-over-the-place" thoughts, meta-insights, complex thinking, and so on. Eventually, I added on the gifted coaching & mentoring element to InterGifted - a team of hand-picked coaches around the world who are gifted themselves and who specialize in supporting gifted people to better understand their gifted mind, enjoy it, and make good use of it in their lives. As we have grown and evolved, we have also added giftedness assessments, gifted-specific workshops and courses, training for helping professionals who support gifted people in their work, partner projects, and other community projects, such as our community ebooks and other creative events. This year (2018), we've prioritized raising public awareness about giftedness in adulthood, and the specific needs of gifted adults. To date (this article is updated in July 2018), we've connected and guided thousands of gifted people around the world and are continuing to grow in positive and joyful ways. Read what some of our members say about the meaningful peer support they've gotten from being a part of InterGifted's community and peer groups, and about how gifted assessments, gifted coaching and mentoring and workshops and courses have impacted their lives. And learn more about the structure, mission, vision and values of InterGifted as an organization. We thank all of our collaborators, contributors, volunteers, and community members for keeping our gifted social experiment alive and evolving. 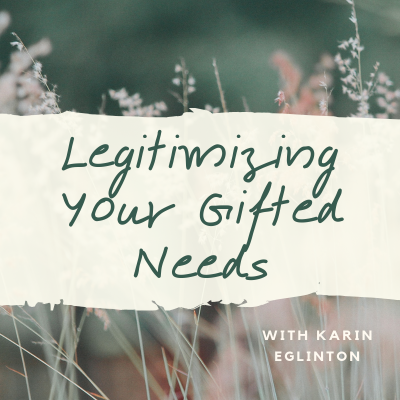 In the interview with Barbara in 2015, I talked about how gifted people can recognize themselves or how anyone can recognize giftedness in others. 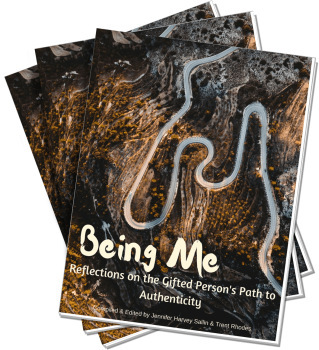 This was an especially important point when I started InterGifted, because I knew that many of the people who found us (and who needed us) would not necessarily recognize themselves as "gifted" (much as I had not known it about myself until I was in my late 20s). Many women (and a fair share of men as well) have learned to downplay their intelligence in the service of getting along; many men and women don't recognize themselves as highly intelligent because they don't love math or because their intelligence shows itself more in creativity or emotional understanding rather than in academics. In the interview, as I often do, I explained that giftedness is like variations on a theme - the theme is: Intensity and Complexity, the variations are intellectual, emotional, sensual, imaginational, psychomotor, and even existential. 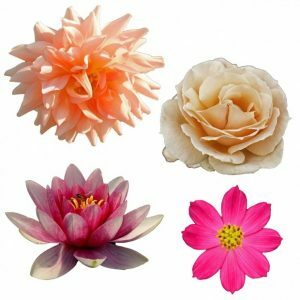 It is much like the flowers here: they all have petals and complex structure, but the shapes and colors vary. When gifted people learn this, and can thus properly identify themselves, they are often so relieved to learn that they weren't "crazy", but rather that their unusually intense way of thinking or creating or relating is something - it has a name! It is something impersonal, just the way one's mind works, rather than being a "gift" or a "flaw" or anything in between. It's just biology. Once we realize this, we can come to terms with a reality I wish I had already known when I was a child: It's not arrogant to be sincerely who you are. And I believe that it takes social support to fully be who you are. That's why I created InterGifted. If you are unsure if you are gifted, and want help evaluating yourself, schedule a giftedness assessment with us. If you want to meet your gifted peers, join our InterGifted community, one of our peer groups, or an upcoming course or workshop - we'd love to meet you! If you like what we're doing and want to follow and encourage us, you can at facebook, twitter, linkedin and instagram. 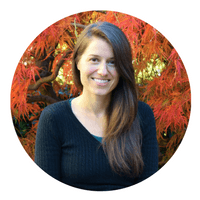 Jennifer is the founder of InterGifted. 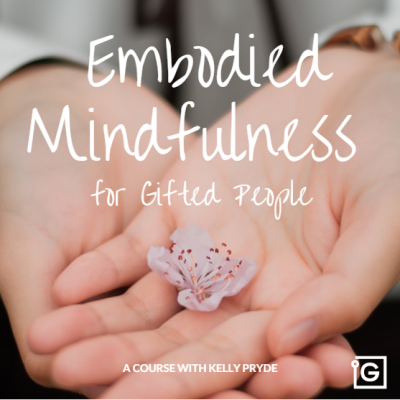 She is a psychologist and coach who specializes in training and mentoring helping professionals who serve the gifted, and provides assessments for gifted adults and coaching and mentoring for highly, exceptionally and profoundly gifted adults. 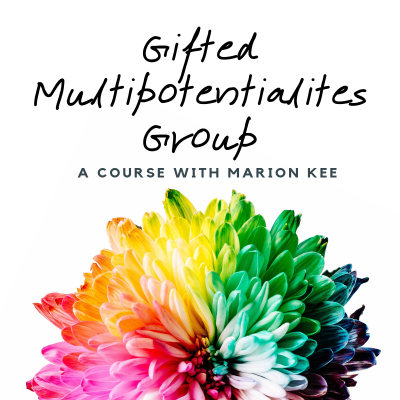 She writes extensively on giftedness and self-development, and you can find her articles here on IG's blog and on her own blog at Rediscovering Yourself. She is happy to consult with you or connect you to our coaches in InterGifted's Coaching Network. Feel free to reach out! If we have only one trait to identify giftedness then that is going to be the word “intensity” – gifted people are intense. And the important point to emphasize here this is natural and this is the way one is built- so it is not a matter choice. In some normal situations when we feel intensely about some things and discuss passionately it may sound weird for others but that may be the normal response of an intense mind. Intensity of passion, emotion, feeling, depth etc but the root word is intensity. Also people who are profoundly gifted may accomplish very little in life and may even remain anonymous as living true to their inner life is more important to them than being known. The biggest obstacle they face is the crises of meaning as they cannot apply their minds to anything petty or inconsequential. They are driven only by stuff that has some fundamental significance. And there will be no quick results when you explore basic questions of life and existence. The kind of pursuit has its own justification.